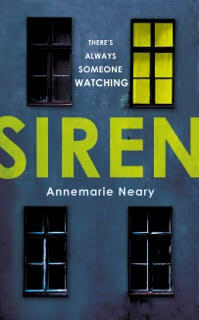 Today, I’m delighted to welcome Annemarie Neary to the blog to talk about her First Draft process. 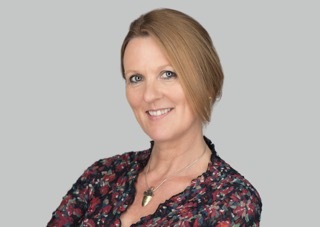 Annemarie is an Irish-born novelist and short story writer, now living in London. Her awards for short fiction include the Bryan MacMahon and Michael McLaverty short story competitions (Ireland) and the Columbia Journal fiction prize (US). She has also been a prizewinner in the Bridport, Fish, UPP Short FICTION, and KWS Hilary Mantel short story prizes, amongst others, and her stories have been published in journals in Ireland, the UK and the US and broadcast on RTE radio. Her novel Siren is forthcoming from Hutchinson (Penguin Random House UK) on 24th March, 2016. By nature, I’m a splurger — I tend just to sit down at the laptop and see what happens. I’m trying to train myself out of that approach, though! While I think it’s a great way to approach a short story, it can be a very long-winded way of writing a novel. If you follow that method, you’ll end up with a lot of wasted material deposited down various blind alleys. Maybe that’s fine, but if you have a deadline to meet then I do think you’ve got to rein things in a little earlier in the process. Some free writing is essential in order to free up the imagination, but you need to engage brain, too. The sooner you do this the sooner you’ll anticipate any problems looming on the horizon. Not really. My preference is to work at home at my own desk — but I find it very hard to concentrate if anyone else is in the house. If my family is around I take myself off to a busy, anonymous place. I find that chain cafes often work better than the lovely local café where the owner is keen to chat. I’m a night bird, so my favourite writing time is LATE. Keyboard. I do carry a notebook, but my handwriting is appalling! I didn’t need to do a great deal of research for either ‘Siren’ or for the book I’m working on at the moment. In each case, I know the locations (West Cork islands, Northern Ireland, South London) really well and the time periods are all fairly recent. Having said that, I do think that research is vital for certain types of book or for particular details — you need to be able to summon up an air of authenticity or you’ll lose the trust of your reader. But it’s a bottomless well, too. When research is necessary I try to approach it on a ‘need to know’ basis. I don’t know how previous generations of writers managed without the internet. Once upon a time, when I needed to know what it felt like to be a Luftwaffe conscript, I was lucky enough to encounter someone online who offered to interview an elderly man who lived on his street in Melbourne. I gave my new friend the questions — mainly about emotions, sensations, leisure activities (which I think the interviewee found a bit odd) — and he conducted the interview for me. I’ve also used the British Newspaper Library to get a feel for what day-to-day life would have been like in Ireland in 1941. I’ve been doing some work recently on Italy in the early 1920s and for that I’ve been using a 1913 Baedeker guide to Northern Italy, which is fascinating and answers all kinds of questions I’d never even have thought of asking. The London Library is an amazing place, and has access to just about anything you could ever need. Very haphazardly, stuck into files and boxes or propped up on my desk. I’m just approaching the end of the first draft of my next novel. Despite my vow to be more organized with this one, I still did a fair bit of splurging. However, the difference this time was that I did know roughly where I was heading, what the main thrust of the novel was and, crucially, where the emotional engine of it all was. That’s a huge help. I still found I ended up with duplicated scenes, characters that could be dispensed with, and lots of things in the wrong order but it’s nowhere near as chaotic as the first drafts of my first two novels (I hope!). Not really. I just need to sit down and do it. I’m pretty single-minded (or one track, if you like…) so I suppose lots of things get neglected when I’m trying to pull together a novel. Dust and weeds. Proper cooking. Non-writer friends, too. This time, I’ve spent a couple of stints at a writing retreat in Ireland – a week each time – and that has proven invaluable. I work at home, at my desk. The road outside is busy, so there’s always the sense of life going on out there, and there are kids playing football on the Common opposite, people walking their dogs, jogging, all that energetic stuff. My desk is not exactly a minimalist’s dream. Actually, it’s filled with a lot of unnecessary things, but I like them. I’ve got a few bits of an old wall (don’t ask! 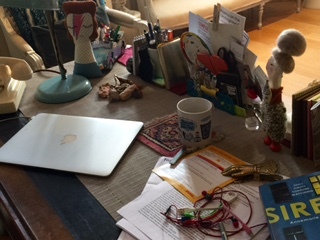 ), a colour wheel, a hand-knitted doll, photos, old notebooks, hair clips, perfume… I cleared most of the junk before I stood on my chair to take the photo – but as you can see it’s still crammed with ‘stuff’. Oh, that’s a difficult one! I do think getting the words out is the most important priority. However, it’s difficult to get excited about what you’re writing if it reads like absolute rubbish. So, I think there is some editing to do as you write. It helps you to get to the core of a character if you’re getting his/her voice right, which I think necessitates a bit of fine tuning as you go along. It’s also important to work off the particularity of things, which requires you to refine that first blast of prose so that you reach the essence of what it is you’re trying to say. So, a bit of both. 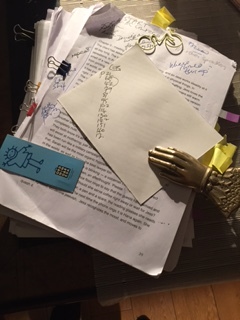 With the novel that I’m writing at the moment, I have aimed for 1,000 words on writing days, and that has helped to ensure that I covered the ground. Not all days are writing days, of course. Sometimes, I’m cutting vast swathes of text instead, or just tearing my hair out. I ended up writing more than I needed, cutting it back by about 20,000 words and then discovering that I needed to write some more scenes by way of infill. At this stage, I’m still working on getting together something that is fairly streamlined in terms of plot. The next stage after that involves sharpening up the voice and the emotional motor of the story. Dread and desire, anger and fear. I find that really hard to answer as I’ve been writing this alongside doing publisher’s edits for ‘Siren’. I suppose around 12-18 months. As for its shape, well, there is still a fair bit of work to do — I need to sort out the ending, for one thing! Most of the time, I’m working off the computer screen but I do find that now and again I need to print it all off, get out the stickies and the coloured pens and rip it apart. That’s when you really see when something doesn’t make sense, when the flow isn’t right, when you need to ramp up a scene or delete a character. After I’ve printed everything off, and gone through it thoroughly, I need to reassemble the draft on the screen and go through the whole process again. I won’t really have a completed first draft until I think I’ve taken it all as far as I can without some outside help. My writing group will take a look at some of it, and then when I think it’s in good shape (but not before!) I’ll send it to my agent who will read it through and suggest any changes before it goes to my editor at Hutchinson. You can find AnneMarie on her Website, Twitter and Amazon. HE STOLE HER LIFE. AND NOW SHE WANTS IT BACK. Róisín Burns has spent the past twenty years becoming someone else; her life in New York is built on lies. A figure from her Belfast childhood flashes up on the news: Brian Lonergan has also reinvented himself. He is now a rising politician in a sharp suit. But scandal is brewing in Ireland and Róisín knows the truth. Armed with the evidence that could ruin Lonergan, she travels back across the Atlantic to the remote Lamb Island to hunt him down. You do have a lot on your desk. I don’t know how writers did it before the Internet either. They were at the mercy of what their local library carried. This continues to be such an interesting feature! Thanks, both. Nice to ‘meet’ someone else who goes straight to keyboard on account of handwriting! Mine’s atrocious! I like that balance between planning and just letting things happen, too. Wishing you much success. There’s nothing quite like a print copy and a set of highlighters. If I can barely see the text, I know I’ve done a good revision job 🙂 I love your desk, AnneMarie, it looks lived in.